If you are looking for one-stop-shop services to take your event from ‘meh’ to ‘’mazing’, look no further; Opus Productions is the full-service music and lighting partner that you’ve been looking for. Read on and you’ll see that our experience trumps most (is that considered a bad word these days? Let’s try that again with “tops”. Our experience TOPS most. Yes. That’s better. Moving on . . .). Wedding DJ – We know that you are looking to elevate one of the most important days of your life and there is no better way to do that than with Opus Productions. In addition to providing custom playlists tailored to the bride and groom, we offer basic dancefloor lighting at no additional charge, no charge for set-up or tear-down time, and a free hour-long consultation with the wedding party to ensure that your entertainment goes off without a hitch. With over 12 years of experience, our DJ will help direct traffic at your event, ensuring that you stay on-time and are able to do all that you planned for your big day. Our competitive pricing lets you reach for the stars on your big day without blowing the budget. Lighting Services – All of our basic DJ packages come with free dancefloor lighting. Why? Because we like you. Our colorful lighting system brings a lively addition to any event, encouraging party-goers to make their way to the dancefloor and pay homage to Prince, partying like it’s 1999. In addition to our dancefloor lighting, Opus Productions was one of the first to offer up-lighting services in the state of Utah. With customized color matching, our up-lights can transform any space into the locale of your dreams, adding a touch of class and a customized experience that your guests will never forget. School Dance DJ – What is the number one consideration when planning your school dance? Budget. It’s always about the budget. At Opus Productions, we understand the need for schools to purchase an excellent product at a budget-friendly price and we deliver on both counts. We offer our full suite of DJ services to schools in Northern Utah at a discounted rate – it’s our way of saying “thanks for doing what most of us don’t dare to”. With packages and discounts available for multiple dance bookings, we’re able to save your budget while we also save the dance! Religious Events – Whether you are looking for a DJ for an upcoming LDS or YSA dance/event or you need a DJ for your son’s upcoming bar mitzvah, Opus Productions has you covered. In addition to our standard of excellent service for all of our events, we offer a full-suite of edited music that most DJs just don’t subscribe to. Our book of music is extensive, up-to-date (we receive the latest hits on a monthly basis) and includes radio edits of most available songs. So if you are worried about content, let us ease your concerns. We have a filter that your grandmother would appreciate. Corporate Events – We recognize that your corporate events takes a lot of time and money to put together and your hope is that it will go off without a hitch. Let us turn your event into weeks of water-cooler chatter with our DJ and lighting services. Our team is professional, on-time and detail-oriented. Event Planning – Did you know that we offer event planning services? Well we do and they are top-notch. 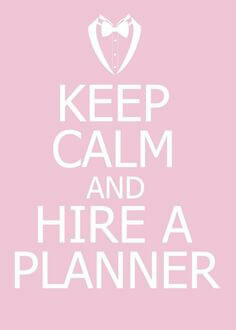 Our event planner is, shall we say, “organized”? Almost to an unhealthy level. Logistics are her thing and frankly, you won’t find anyone better. Whether you need help finding a location for a party, tracking down catering for a family reunion or need a coordinator for your upcoming wedding, we’ve got you covered. We have experience doing all the dirty stuff that nobody likes to deal with . . . except that we kind of do like it: budget management, vendor negotiation, contract review and negotiation, spreadsheets, the list goes on and it’s all up our alley. We do a lot of stuff, amiright? The key though to all of this is that we don’t just claim to do it, we do it well. Our team of experienced DJs, event planners and coordinators will deliver for you. That’s our promise. Let Opus Productions take your event to the next level. Call us at 801.866.5122 or submit a request through our handy form for more information about our services or to schedule a consultation.